The Adventure is the smallest of the range at 3m by 2m. It is a perfect outdoor Sunken Trampoline for both residential and commercial settings. It conforms to European Sporting Equipment standards DIN 13219 and is extremely well built. 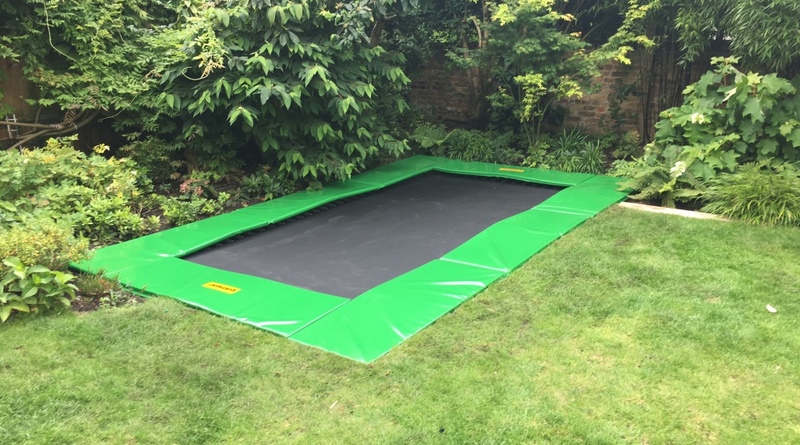 Its installation requires more work than the self contained Capital In Ground trampolines but is designed to perform more like a professional trampoline and allows schools and commercial situations to benefit from a compliant outdoor trampoline. With its high performance characteristics this is an excellent choice for Rebound Therapy where space is at a premium.